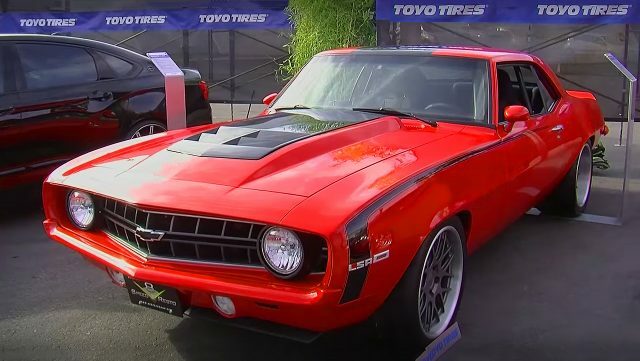 This Restomod 1969 Chevrolet Camaro so called “Lou’s Change” was built by V8 Speed Shop, which was their hi-end show muscle car for the 2016 SEMA motor show. 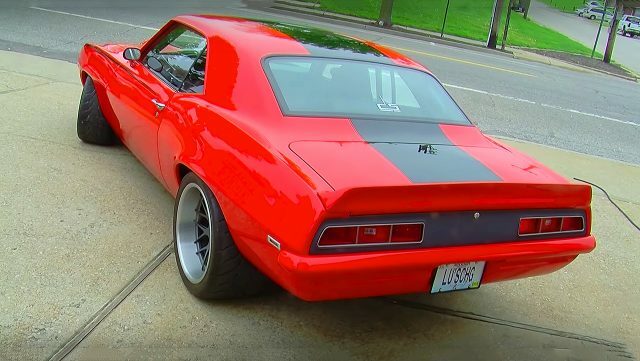 Because they wanted a completely restored with the absolutely flawless body work, they have built this Camaro from the ground up, which started as a regular ’69 383 SS Camaro. They have spent hundreds of hours in preparing, painting and polishing, but the end result is this absolutely gorgeous LSA Camaro. The interior is completely customized, inside are installed Recaro sport bucket seats, secured with 5-point Simpson seat belts. The dashboard has been upgraded with Dakota Digital VHX Gauges, Vintage Air unit and a sport MOMO steering wheel. 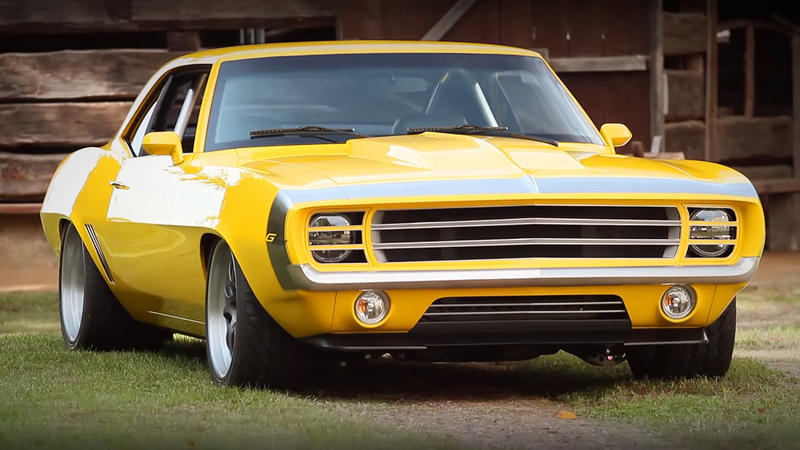 This “Lou’s Change” 1969 Chevrolet Camaro is powered by a Supercharged General Motors 376 cubic-inch, 6.2 liter LSA small-block Crate V8 engine. This LSA engine is factory rated at 556 horsepower and 551 lb.-ft. of torque, but this particular makes even more. 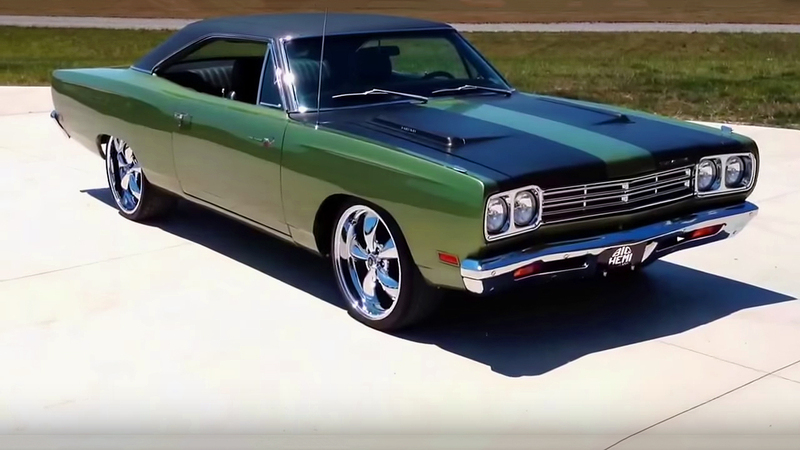 The engine is attached by a Tremec T56 Magnum six-speed manual transmission with a Hurst shifter on top. The car lies on Detroit Speed suspension and is secured with a Wilwood braking system which includes master cylinder, six-piston calipers up front and four-piston at back with slotted rotors on all wheels. As a finish there are Forgeline wheels wrapped with TOYO Proxes R888 tires.